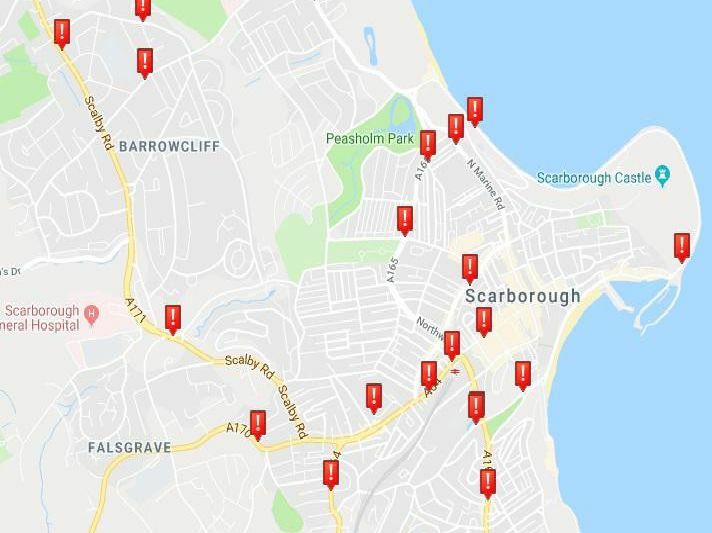 These are all the locations of the worst vehicle accident black spots in the heart of Scarborough. All of the locations listed are those where a serious vehicle accident has been recorded in the last two years. Pictures used are to illustrate the roads where the accidents took place, not the precise location on the roads. All data has been sourced from crashmap.co.uk.